Our proven methodology creates powerful corporate culture transformations that leave organisations with lasting culture leadership and culture management capability. 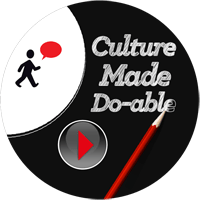 Simply put, we make culture do-able. And do-able by you. We enable clients to reach their full potential by focusing on what matters and what delivers business success. Our methodology is built to flex with our client’s needs. We believe your project is as unique as your culture. In our 25 years of experience, we’ve cut through culture complexity and made it simple. 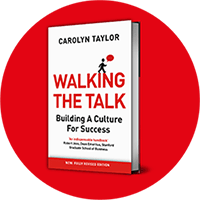 Our culture framework is your organisation’s fast-track to a common understanding of culture measurement, culture change, how it can deliver business success and the role the individual plays in creating a culture that works. An introduction to Walking the Talk. Find out why corporate culture management is a vital business management tool. Watch our video on why culture matters. Click on image. Introductory presentation on culture, how to change culture and the importance of aligning culture with strategy. It may just change the way you do business. Now available at Amazon and Publit.